"There are few voices of meaningful dissent left in rock music. Even fewer play with the savagery, subtlety and melody of Melbourne-based newcomers Gold Class. Armed with only a handful of songs, Gold Class quickly drew heads to their live shows when they appeared mid-2014, just a couple of months after getting together. Characterized by attacking rhythms, bristling garage guitar lines and the deep vibrato of singer Adam Curley, the band were soon mixing art-space and basement gigs for their debut seven-inch, “Michael”. “Life as a Gun” and “Michael” will be included on Gold Class’ forthcoming debut album. Stay tuned for more details. Gold Class formed quickly. Guitarist Evan James Purdey recruited fellow creative-writing students Mark Hewitt (drums) and Adam Curley (vocals) to elaborate on guitar ideas he’d recorded to a Dictaphone over the course of a summer. Jon Shub, who worked late-night bar shifts with Purdey and Curley and who builds and fixes guitars out of a workshop, made an instrument for himself and joined on bass. The initial philosophy was simple: each member would write his own parts with reverence given to the whole. “We write everything together in a small room, which is a recipe for tantrums, but we also look out for each other’s interests and we’re pretty dedicated to that way of working,” Curley explains. “The album was intended to be a document of the live set we wrote in a short amount of time, recorded quickly and released soon after. It’s our opening statement as a band in a way.” In the autumn of 2015, Gold Class went into Melbourne’s Head Gap Studio for four days with producer Simon Grounds (GOD, Twerps) to record ten songs to tape. 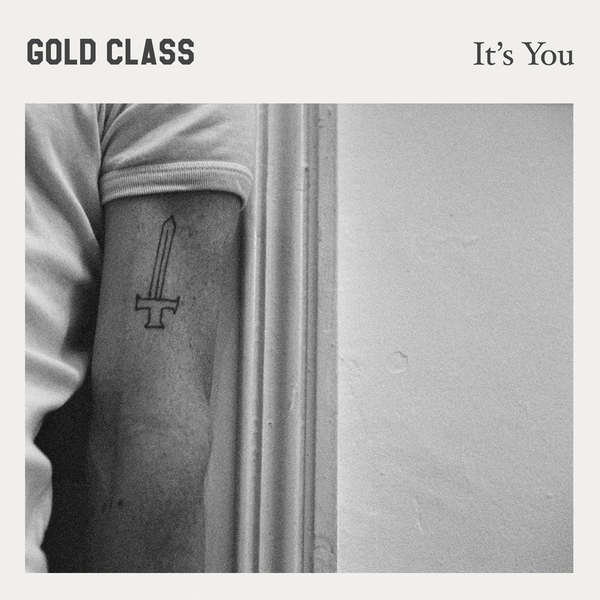 The result is the band’s debut album, It’s You, led by first single “Life as a Gun”, with its firing lyrical offering, “You can hold your finger on the trigger.”Elsewhere on the record, political protest meets Australian kosmische; proud perversion rubs against lo-fi jangle, and outsider longings become rallying choruses as Gold Class play out the push-and-pull of their first album’s title. "